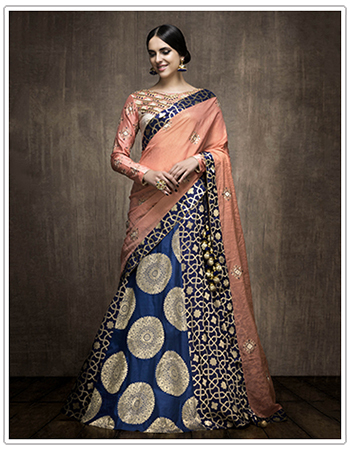 The mention of silks makes us form an image of a soft, sumptuous cloth in our mind with a sense of pride in owning it. Sericulture is a huge industry, and a very few may know that there are two variations to producing silks. One, where the moths are domesticated and kept under a controlled environment producing a long continuous thread. The worm which gives us mulberry silk, Bombyx Mori, is the most relatable example of domesticated silks. Silks which are not produced in a controlled environment as Mulberry silks are termed as wild silks. The fine threads developed using the silkworms living off forest trees such as castor trees, Oak leaves, etc. were cleped as “Vanya Silks” by the Indian Government. The existence of wild silks is prominent all over the world as the forests of the entire world are a home to more than 500 species of wild silkworms. Although not every wild silk moth is used to produce silk, distinct wild silks are produced by different countries. There are three distinct wild silks which India produces- Tussar, Muga, and Eri. Each silk moth has distinct properties which reflect through the cloth that is produced from its cocoon. For instance, Bombyx Mori being completely domesticated, or rather spoilt and pampered with more than enough mulberry leaves to eat in a controlled environment that spares the moths from bearing nature’s calamities, produces Mulberry silk, a fabric loved for its softness and affluence. Wild silk moths, on the contrary, are not bred like Bombyx Mori in a subdued environment. They are allowed to exist in the wilderness of the forests, and thus the name. The mulberry silkworm cocoons are boiled before they enter the pupal stage to prevent the breaking of cocoon which keeps the thread long, unbroken, and safe from the damage. This is the major difference between mulberry silk and wild silks. To produce wild silks, the moths are allowed to break into their pupal stage which damages their cocoons resulting into pieces. This is the reason why wild silk threads are shorter. This factual difference in their production is also a major reason for why mulberry silk threads are finer, smoother, and longer while wild silk threads are shorter, coarser, and harder. As Bombyx Mori feeds only on mulberry leaves, the yarns yielded are uniform in colour, making them an ideal silk to infuse a whole range of colours. Wild silkworms, on the other hand, feed on different wild leaves of castor, Som, Salau etc. and the fact that they are allowed to be matured, affects the colour of its yarns and the overall texture. Wild silks including Eri, Muga, and Tussar have a characteristic golden tint to them, which makes dyeing somewhat cumbersome or difficult. Sericin – the gum like amino acid that binds the silk yarns together are also responsible for giving a specific texture to the resultant silk. While boiling (in case of regular sericulture) melts a lot of sercin), this is not often in the case of wild silks. This is also the reason dyeing is not so easy on many wild silks, like Muga. Addressed with multiple names such as Tussah, Tushar, Tasar, Tussur, Tussore, Tusser, and Tassar, this wild silk fabric was known as ‘Kosa’ silk in the ancient times. 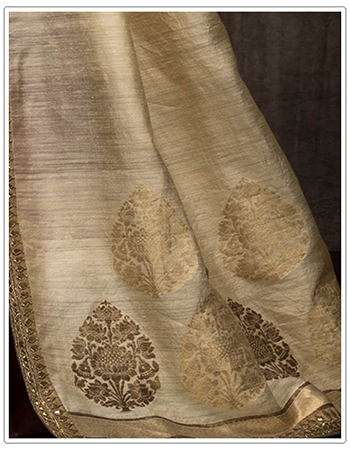 Extracted from the silkworms with an affinity to Antheraea moth genus, this silk has a rich texture and a naturally deep gold sheen, which reflects gorgeously, when draped as a sari. Following China, India is the second biggest manufacturer of Tussar silks. Bhagalpur, the third largest city of Bihar, is also the most significant contributor to the total production of Tussar silk. The tussar silk manufactured here is also known as the Bhagalpuri silk. The other major producers of this textured cloth are Jharkhand, Chattisgarh, Madhya Pradesh, and West Bengal. Bhagalpuri silk is used to craft the famed Kantha stitch sarees, which are known for their natural ivory gold or copper toned base (the natural hue of the tussar extracted there) – brought to life with a stunning canvas of multi-hued little kantha stiches, which often are made to depict scenes from nature and also patterns of the iconic Madhubani paintings from Bihar. The wild silkworms from which Tussar silk is extracted are found in the wilderness, and they feed on the Oak leaves or Jamun Leaves. These silk moths are allowed to leave their cocoons, before the production process starts (instead of boiling the cocoons), which damages the cocoon to some degree. This is why wild silks like tussar have shorter threads and are coarser than mulberry silks. The fabric reeled following this non-violent technique is also termed as “Ahimsa silk”. Though not all Ahimsa Silk is the wild silk – because these days Ahimsa Silks are also made from mulberry feeding, domesticated moths. Nonetheless, all wild silks like Tussars are indirectly Ahimsa silks. Tussar silk can be dyed in various colors, unlike the other two wild silk varieties – though the colors are quite limited. These stunning Kosa (tussar) silk sarees are very elgant and rich – and instantly add magnificence to the wearer’s personality. Available in an extensive range, Kosa silk sarees are highly preferred for auspicious occasions as well as in simpler varieties for work and corporate wear. Ladies of a certain class and age also prefer these graceful silks. 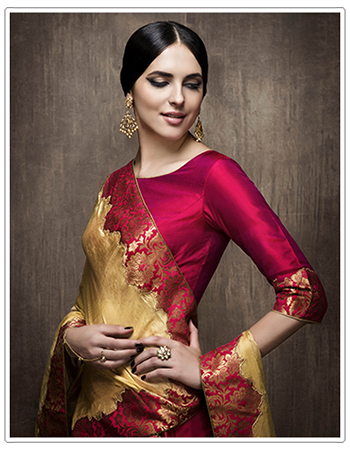 With fusing trends, this wild silk is also a great choice for fashioning various apparels. Muga Silk – the glistening glowing gold! Known for its shimmering texture, Muga silk is one of the rarest wild silks with its Indian origin, based only in the North Eastern state of Assam. Developed from the semi-domesticated Antheraea assamensis silkworms, Muga silk yarn is naturally golden in colour, hence the name “Muga” which means yellow in Assamese language. These silkworms feed on the leaves of Som and Sualu. With zero tolerance level for pollution and any impurities, Muga moths produce entirely organic threads - with high tensile strength, shimmering sheen – and an enticing texture. Muga is unmatched in its beauty – but dyeing it may result in loss of its texture – so people largely prefer to use it in its original golden coloring. It is an extremely rare and expensive silk. Preferred by the Japanese to design Kimonos, their cultural dress, Muga silk is a choice of affluent people and designers. Reportedly, 1000 cocoons make 125 grams of silk, and you at the least need 1 acre of land to produce just 400 grams of Muga silk. And, to everybody’s astonishment, that one magnificent Muga saree that you adorn needs 1000 grams of silk and about a couple of weeks for weaving. The patience, hard work, and resources that this resplendent fabric requires for its construction makes it one of the most expensive silk fabrics. The use of Muga silk is varied, as there are multitudinous options available to weave Muga into sarees, Mekhala chaddars, stoles, quilts, kurtas, and the most exquisite bridal wear. The locals also consider this wild silk fabric as a prized possession, and usually wear it in the form of ‘Mehelka Chadar’, a special attire of the Assamese women. With an opulent golden shimmer, this fabric was believed to be non-dyeable, which is not entirely true. It can be infused with vibrant colours. However, its golden sheen is beautifully dominant, making it the most desirable option. With varying embellishments such as intricate embroidery and Jamdani style weaving, using yarns in contrasting hues that complement the fabric’s natural sheen, Muga sarees are stunning. Believed to outlive its wearer, given its excellent strength, a Muga makes for a perfect heirloom that can easily be passed between generations. Eri Silk- A Low Key Silk - for one and all! 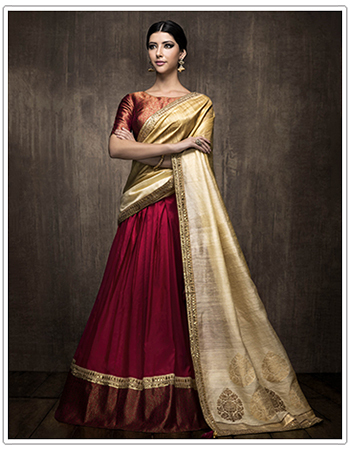 Also known as “Errandi” and “Endi”, the name “Eri” silk is derived from an Assamese word “Era” which means Castor. Unlike Bombyx Mori which feeds on Mulberry leaves, Eri silk moths feed on castor. Produced from the caterpillar named Samia Cynthia Ricini, which is abundantly found in the north eastern regions of India, the threads of this silk are spun without killing the worms. 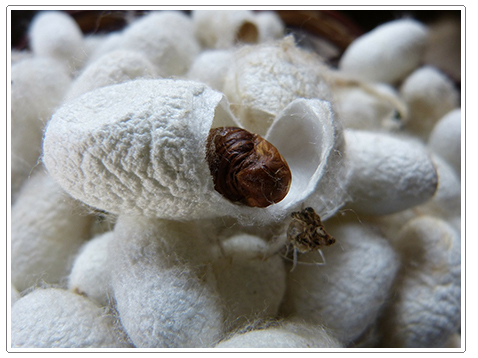 Eri Silk is one of the most popular varieties of “Ahimsa” silk, thus. Contradictory to the fine and smooth texture of mulberry silk, Eri silk has a coarser texture – much like linen or jute, but with surely better strength and sheen – given it is a protein based fabric. Eri makes for a perfect fabric to blend with cotton and wool. The major Indian producers of this affordable silk include the states of Assam, Meghalaya, Nagaland, Manipur, Arunachal Pradesh, Jharkhand, Orissa, Andhra Pradesh, and Karnataka. Produced using the degumming process, where the cocoons are cleared of the sticky ‘sericin’ and then opened using an opener, the silk threads are then extracted and cut using a twin blade cutter for safe cutting. Carding, gilling, and drawing follows the cutting of threads making the output as grandiose as Eri silk. 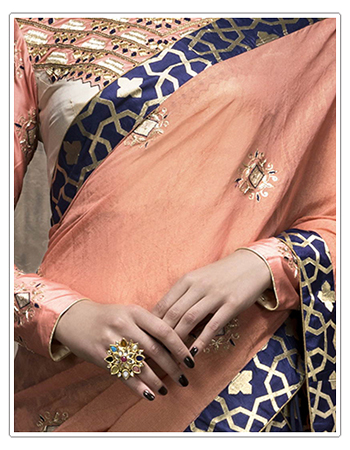 An all-weather silk, Eri is perfect for the Indian climate. Its raw texture makes it apt for day as well as evening wear. Eri silks are dyed using rich hues of Indian favourites, making it suitable for various occasions. The texture of this silk fabric is absolutely stunning with even more gorgeous yellow sheen that complements every fine detail, woven or embellished on these sarees. The explorers of fashion are using the fabric to craft multitudinous apparels such as kurtas, scarves, lehengas, and more. The rawness of this material makes an apt blend for producing saris and ensembles for work and corporate formal occasions. Primarily different from mulberry silks with their own distinctness, wild silks have a raw beauty that instantly connects you to nature. Chosen for its durability and strength, wild silks are popular all around the world. Cricula silk in Indonesia, Kalahari silk of South Africa, and Fagara silk of Southeastern Asia are a few examples of wild silks produced by the rest of the world.